Cabarrus is committed to providing competitive benefits packages with options that flex to your individual needs. The County also offers premium incentives for non-smokers and those who participate in and meet health baselines. To help employees succeed, the County designed an award-wining health and wellness program, with supportive resources, fitness classes and exercise facilities. Cafeteria benefits allow employees to pay for certain insurance premiums, childcare and unreimbursed medical expenses before taxes are taken out of the paycheck. Paying for these benefits in this method may reduce your taxes and may increase your take-home pay. Cabarrus County provides medical benefits through Cigna. Employees can choose from two medical plans: Employees can also earn a preferred rate by completing health assessment baseline measures and living tobacco-free lives. All employees and dependents covered on the County medical plan receive an an­nual routine eye examination at no cost. Cabarrus County also offers vision insurance through Community Eye Care. Benefits include an eye examination, contact lens fitting, eyeware plan of $150 and discounts for other services, including LASIK. The County also provides term life and accidental death and dismemberment insurance at $20,000 for each full-time employee. Employees have the option to purchase additional term life insurance and dependent life insurance. Cabarrus County also offers PPO and Non-PPO dental insurance through Ameritas. Benefits include two evaluations and cleanings per year, space maintainers, X-rays and fluoride (for children under 19) at no deductible. Cabarrus County offers accident, critical illness (with and without cancer) and value-added services through Aflac. which have no lifetime maximum), certain lodging and transportation coverages and in- and out-of-hospital benefits. It pays regardless of other coverage and is portable, meaning you can take it with you. Cabarrus County offers short- and long-term disability through American United Life Insurance Company. Time Off Benefits: Cabarrus County offers 10 annual paid holidays and vacation and sick leave pay based on length of service. 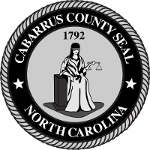 Cabarrus County provides Family, Medical and Military leave in compliance with federal requirements. Employee Assistance Program: Confidential counseling is available through McLaughlin Young for employees and their families. This program provides free, confidential counseling for employees and their families to help individuals better manage personal issues such as stress, marital and financial problems and drug or alcohol dependency. Cabarrus County is recognized as one of the Charlotte Business Journal’s Healthiest Employee Award winners. Regular employees working 20 or more hours per week become a part of the Local Government Retirement System administered by the State. The County and employees contribute to the employee's retirement account. All full-time and some part-time employees also are part of the County's 401K plan. The County contributes 5% of gross wages with the option for employees to make additional contributions. Employees may choose to participate in a Section 457 Deferred Compensation Plan. Flexible Spending Accounts: Health and dependent care flexible spending accounts are options for county employees. Tuition Reimbursement: County employees taking relevant educational classes and certifications may be approved for tuition reimbursement. State Employees Credit Union: Membership in the NC State Employees Credit Union is available to county employees. Employee Discounts: Cabarrus County employees have access to employee discounts to gym memberships, local area merchants and recreational events. Pet Insurance: Cabarrus County offers two pet insurance plans through Nationwide. Benefits include accidents, injuries, common illness, serious/chronic illnesses, hereditary and congenital conditions, surgeries and hospitalization, X-rays, MRIs and CT scans, prescription medications and therapeutic diets. With the added wellness plan, you can also receive wellness exams, dental cleaning, vaccinations, spay/neuter, flea and tick prevention, heartworm testing and prevention and routine blood tests. All pet insurance members also qualify for Vet Helpline, with unlimited 24/7 access to a veterinary professional.